The vision for Marriage Enrichment Divine was given by God to his servant Pastor C.B Morgan and was launched in September 2015. The purpose of Marriage Enrichment Divine is to enrich marriages. God has instituted Marriages and marriages are faced with many trials and issues, however, if you are certain that God has put you together, continue to stand on his word because his word never fails - Matthew 19:6 -Wherefore they are no more twain, but one flesh. What therefore God hath joined together, let not man put asunder. 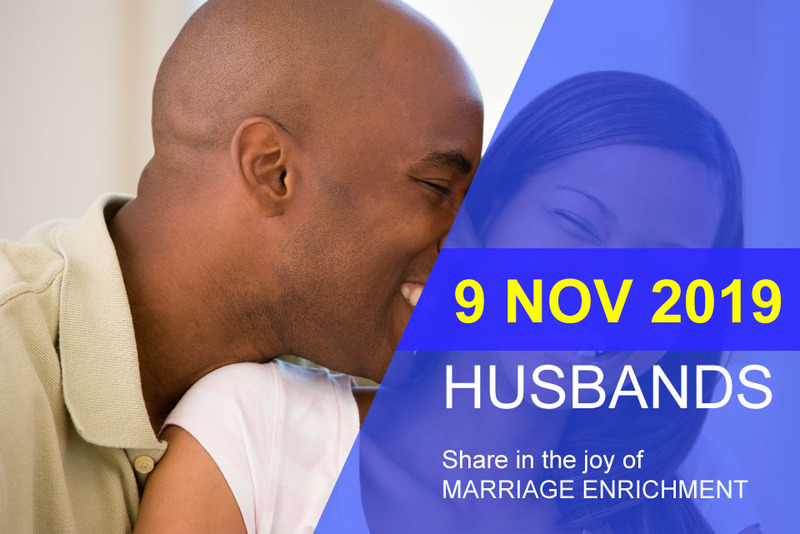 Marriage Enrichment Divine has sessions for the wives, sessions for the husbands and sessions for both husbands and wives combined according to the leading of God. When you attend Marriage Enrichment Divine, you will be motivated, empowered and refreshed for the next level in your marriage. 2018 Marriage Retreat - the event was fantastic, the ladies were all super friendly and very outgoing. The food was also very tasty. It was another learning experience for me, I had a great time. I look forward to this event every year…..keep up the good work Pastor. This was a unique event. Even though this was an intimate group, I felt very much involved in the conversation and topics we discussed. From These gatherings we learn from the discussions and become involved in sharing our feelings as well. Wow! What an incredible time! The décor, the food, energy and the atmosphere was beautiful! .I absolutely enjoy it! It was very enriching and a joy to be around other women I can relate to! I definitely took away some nuggets. I look forward to the next event! I loved every minute of it. It was a powferful time of sharing among women that were there only to empower and enrich their marriages. I enjoyed the group discussions and listening to everyone's response. I learned how the 5 secrets to a happy God-centered marriage!!! I can't wait until next year! 9/9/2017, excellent Retreat! The three beautiful brides presented well, I was very impressed with their presentations. Excellent job ladies!! Congratulations to you Pastor on a job well done again. I had a great time. I thank God for Pastor Cidel Morgan as a marriage counselor through her prayers and encouragement as a mother to me my marriage is going on very well to God be the glory. May the good Lord continue to bless her and the family, we love you and always. Amazingly beautiful time. Truly blessed be the atmosphere the food, the wonderful words of encouragement and enrichment. I thank God for this time that was spent reviewing our life and marriage. I have been attending Pastor Morgan Marriage Enrichment for the wives for the past three years and it just keeps getting better and better each year. It have been a blessing to attend and a Great outlet for God fearing women to come and be inspire, learn and be bless by other women. Learning how to make our marriages stronger and more ENRICHING. Pastor Thank You and I am looking forward to 2018. My first, didn't know what to expect but was blessed to be among my fellow sisters in the Lord. All the presenters were on point. Especially Sis. Vanetta and Sis. Bukky. Educational, Enlightening and inspirational. The program was beautifully coordinated by pastor Cidel. Speakers were very good. A good forum whereby married women can come together learning and sharing experiences to achieve a successful marriage life. Enriching indeed!!! Thank You all for the testimonies and fellowship!!! This is my second year attending....oh thank you father for all the word of wisdom and encouragement for my beautiful sisters in Jesus name. Sister Cedil, I pray that next year be even bigger and better by the grace of God. It was beautiful! This was truly amazing. It was a blessing to be here with other ladies. We laughed and prayed. We danced and praised. Pastor Morgan, God is truly using you to do His work. May He bless this ministry. Marriages need it! This was my first year attending and it was very uplifting and heart felt. I for one will definitely be attending next year. Thanks again to everyone involved for an amazing journey. This is indeed a divine mission from heaven...I was enriched greatly and I look forward to next year's event. Thank you Pastor Cee for heeding to God's call. God bless you as you've blessed us. I have enjoyed this gathering so much. It's great to get together with Godly women and be inspired. Thank you Pastor Morgan for hosting this marriage enrichment. I cannot wait for next year. Good Day, the Marriage Enrichment Destiny was a great session and the atmosphere made me feel special. I was able to speak my mind on subjects that me and my husband are facing and the feedback I got back was great and I am using the teachings daily. I would like to say thank you and would like to attend more like this. On September 12th 2015, I was honored to be one of the many brides that attended Mrs. Cedil Morgan “Marriage Enrichment Destiny”. Overall the program was very organized; it was inspiring, and motivating. The facility was well decorated. This event reminded me of my actual wedding day. All the brides were outfitted in the color white. It was a unique experience. All the brides simultaneously stuck the cake. The brides interacted and shared thoughts. Mrs. Morgan shared her experiences and provided sound biblical prospective in handling marital issues which were mentioned during the session. All the brides spoke about various topics, ranging from how they met their husbands to some of the marital issues that they are faced with. I must mention that we had a five course dinner prepared for all of us. Lots of food and beverages to consume, very tasty. The tables were laid with everyone being assigned to particular seats with name tags. The relaxed ambiance of the reception hall was surely welcoming by all present. My overall rating will be 5 out of 5 (100%). The marriage enrichment held on September 12, 2015 Was fun, exciting, fabulous and most definitely very enriching. I was able to meet some fabulous women and shared similar views and understanding on our daily lives. I was also able to get great advice from women that have been in the marriage game for a while. I really enjoyed myself and I'm glad I attended. I was one of the guests of the "Marriage Enrichment Destiny" event hosted and presented by Pastor/Mrs. Cedil Morgan, on 12th Sep 2015. The presentations of this event have left lasting memories with me about the gift, creativity, talent and professionalism of Mrs. Morgan. The scenery, color, decorations, food were very beautiful well put together and above all, the teachings on how couples can/could work on making their marriage was remarkable and very appealing. The program started on time and ended as expected. If I may rate this event, and the event planner/organizer, who is Mrs. Morgan, I will give 100% grade on aspects of this conference/ event: Time, Scenery, Color, Guests service, culinary art/food, environment, the knowledge impacted; etc. I will recommend Pastor/Mrs Cedil Morgan for best event planner and food artist of our time. I must admit, the Marriage Enrichment Destiny held on September 12th 2015 at the home of Pastor Cedil Booker Morgan was great and very educational/revealing. This was indeed an eye opener for me as a lady from a Muslim background who was involved in an arranged marriage for over 15 years. I least did not know that marriage is a sacred vow between a man and woman. Since I attended this eye-opener marriage session, my marriage life to my new Christian husband has changed. This program brought us closer together and we grew as individuals. This program has helped us communicate better with each other, and made us more aware of our priorities which are to put God first, and our spouse and family. At this program, we started out with inviting the presence of God before introducing ourselves to the group and spoke about the merits and demerits of our relationships (marriages). There were three elderly women who have vast experiences in marriage because of the length of their marriages. When we were expressing our feelings and stating our needs; they (the three women) were very respectful of our views and they gave positive feedbacks and advises. The food was great and the decoration was exquisite. When I first entered the discussion room, I thought I was at a semi-wedding. The entire room was beautifully decorated. The set-up was stunning and well done for the event. I thoroughly enjoyed the food and atmosphere at the party; most especially the fruitful fried rice, the curried chicken, and curried shrimp. I will unquestionably recommend the Marriage Enrichment Destiny Workshop for all couples. I was a recently married bride on September 15th when I attended Pastor Morgan's Marriage Enrichment Ceremony. Pastor Morgan had married my husband and me 2 years prior. When I arrived I was pleasantly surprised at the beautiful decor and photographer who was on hand to take pictures, however this was not the highlight of the evening. Listening to all of the other brides speak on their relationships and hearing advice from the panel of ladies who were in long term successful marriages was very helpful to my own marriage. I had my own chance to question the panel and learn from their experiences. Overall it was a spectacular evening of fun, laughter and learning. I had the pleasure of attending Pastor Cedil Morgan Marriage Enrichment Dynasty. Several years ago Pastor Morgan married my husband and I, and we could not have been more elated to have her as our Officiate. I have never attended a celebration quite like this before. Pastor Morgan had invited all the women she had married over the past 10 years. It was amazing to see other women whom she had married as well and interact and share stories about how wonderful married life has been to us. This celebration was meaningful and sentimental. We not only got to share our stories with each other but we had the opportunity to see how God has blessed Pastor Morgan Ministries. We also shared with each other the tools we all need to thrive and prosper in our marriages. This marriage enrichment by far exceeded our expectations! For example, the ambience itself was remarkable. All the attendees felt like we were getting married all over again. We were all asked to wear white attire so yes it did feel and looked like the day we all said our vows. The food was not only delicious but it was also very tasteful and appetizing. I am so blessed and so thankful to be amongst the long list of brides whose special day was officiated by Pastor Cidel Morgan. The Marriage Enrichment Dinner that was presented and hosted by Pastor Cedil Morgan was nothing short of amazing. I feel truly blessed to have been counted amongst the rest of the wives that attended. This was an opportunity for all of the brides that Pastor C officiated their marriages to come together and share our most memorable experience on our wedding day. We were able to relive that special moment and share it with others. We also had a chance to mention one thing that we felt we needed advice on in regards to our marriage. The elders gave us great feedback that we could take back and apply to all of our unique situations. The atmosphere was divine, all of us wore white and the table décor was beautiful. The food was also fantastic. Being able to fellowship with other women from different backgrounds but all sharing in the fact that the same Pastor tied our union was special and I am sure that lifelong friendships and a sisterhood have been established as a result. I am looking forward to the next one this September. On September 12th 2015 was an amazing day for me to celebrate an amazing marriage enrichment destiny it open my eyes to see who we all relate to each other and able to share our personal thoughts with each other. It help me to appreciate life, love and happiness even more also when, how and when to react. It has improved my marriage and make it even stronger when I listen to how other has the same problem and how they relate. I would like to do another one with the husband involved as a couple or by themselves and then we join as one. Thank you Cedil for maker my marriage stronger .